St. Therese Catholic School is part of the Archdiocese of Santa Fe Catholic Schools System and is located in the heart of the North Valley of Albuquerque. The school was founded in September 1947 by a group of nuns intent on bringing a Catholic-based education to the North Valley. Before the actual school was built, a Quonset hut was loaned to the school. Using this, a tent, and a garden hose as a drinking fountain, 150 students began their educational journey at St. Therese. Later that same year, a combination school and church building was built and today, that same building serves as the office, computer lab, library, and elementary classrooms. Over the years, St. Therese Catholic School has grown in size along with the St. Therese Parish. The building that once served as the Parish Hall now serves as the Middle School building. The great school staff, the Church, and its Pastor remain closely united and work together to better the education of all the students at St. Therese Catholic Schools. In the past, the parish Vicar not only offered spiritual guidance but also acted as the school&apos;s Spanish teacher. 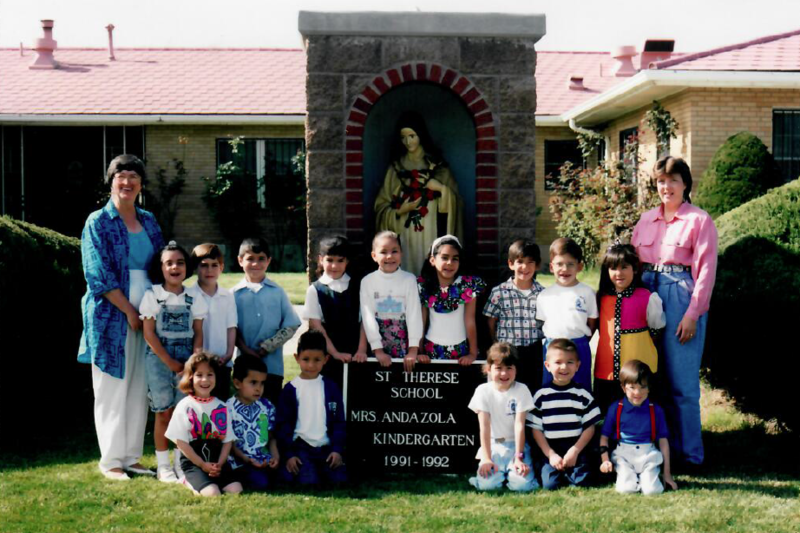 Although the St. Therese Parish serves the North Valley Community, the school also serves students from all parts of the Middle Rio Grande Community. Students attend the Parish Mass on Thursday morning and also attend First Friday Eucharistic Adoration. On the first Sunday of each month, the students and their families attend the Parish Mass to demonstrate their support and appreciation to the members of the Parish.